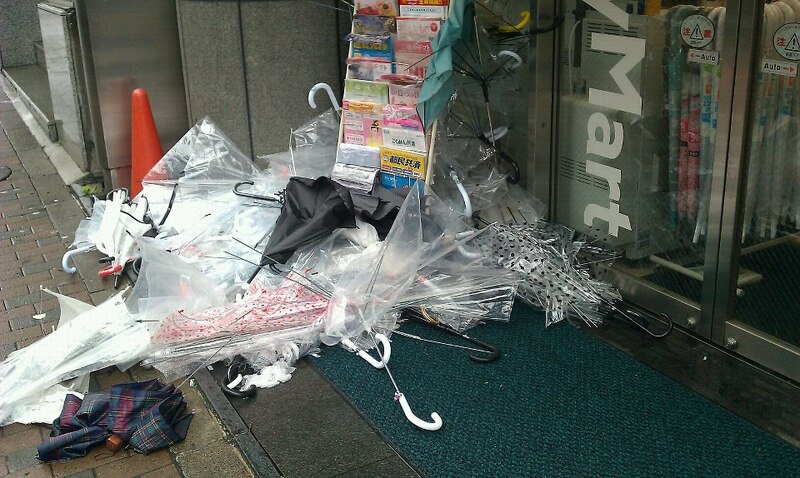 It was such a windy day that many people had their umbrellas broken by the strong wind. What did they do with their broken umbrellas? I was greatly shocked by this sight. Why would the normally well-behaved Japanese do something like this? ... that while this behavior seems so unlike the Japanese, it's terrifyingly typical of them, too. If everyone else is doing something, we feel it's okay to do the same, no matter how wrong it may be. "If everyone crosses against the red light, then there's nothing to be afraid of." Such a mentality may be deeply rooted in us. A little scary, isn't it? If you have your Facebook account and are interested in receiving these Japanese-English posts on a regular basis, please click the “Follow” button, which I recently added to my page. If you add me as a friend, please send me a short private message first, and I'll definitely accept your friend request.